how delicate, subtle and impalpable a utopia can be. And also how much, despite what one might think, it can demand in terms of commitment, dedication, will, courage. An action – the creation of a small cloud, something that happens millions of times on earth – is almost impossible without sophisticated aeronautical equipment. 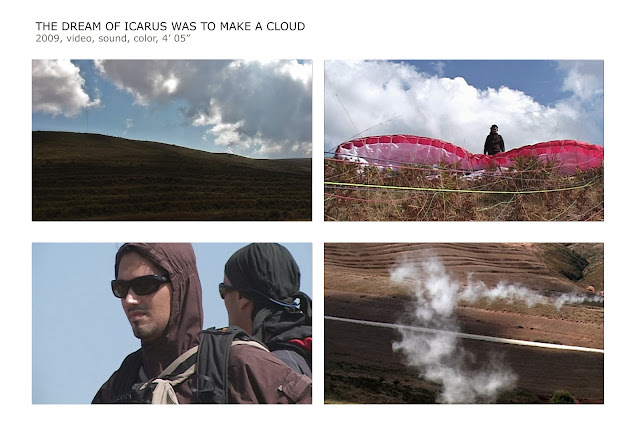 However, Zeneli considers it fundamental to try, to share with the spectator a dream similar to that of Icarus. Boarded on a paraglider, the artist creates a cirrus cloud that lastsa few seconds before dissolving with the mountain wind. At that point, the paraglider is already off-camera and no traces remain of the artist and the utopia he wished to give us. 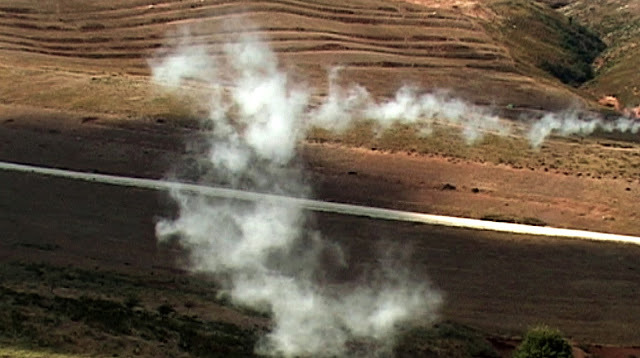 video, 2009, 4’05”, color, sound.